It has been interesting living on the grounds of the Hosptial and getting to know doctors; they are happy to show me all they do, and if somewhat weirdly involve me! - to the point that I have found myself suited and booted in scrubs, in an operating theatre. My main role here is to teach: I home-school two lovely boys called Oliver and Joel. This is so that both of their parents - missionaries from Northern Ireland - can work within the hospital. Home-school teaching is a whole new kettle of fish for me, but a challenge I’m enjoying. I do this Monday to Friday, in the mornings and afternoon; then outside class, some time is needed to prepare lessons and update their parents on how the week is going. In my spare time, I am focusing on my relationships with Ugandans: Especially those in the hospital and from the village. I want to share God’s love in all the small details of life here. This can be difficult at times, as there are less than ten white people (called ‘mzungus’) in the village and we all stick out like sore thumbs. Blending in isn’t so easy when you’re slapping on the sun cream, and are still a little afraid of the random cows running down the roads. Unfortunately, there is a strong, damaging stereotype here which has been developed by ‘poverty tourism.’ People come to the area and hand out free clothes, toys and give away money without a thought, or take pictures of people without asking or showing respect. This means locals shout at us demanding money or gifts in excitement, or show hostility as they feel degraded by others who have come here. 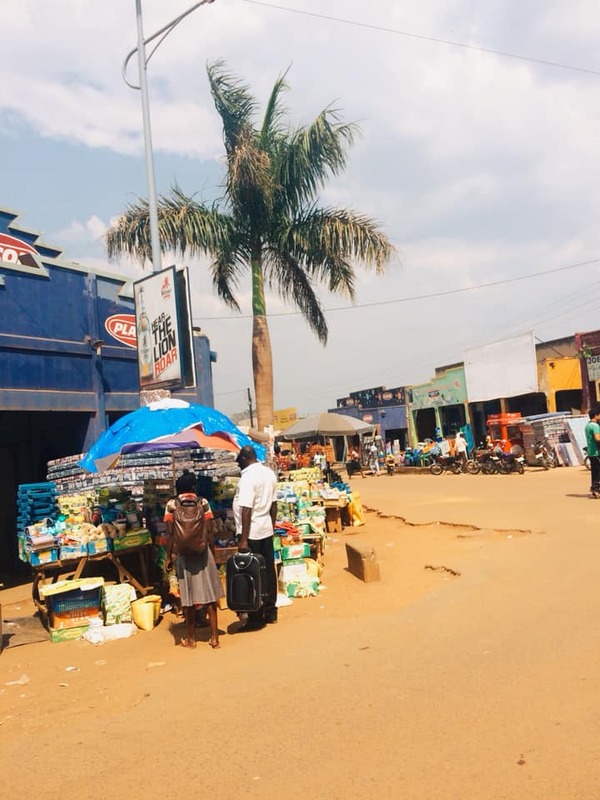 Generosity is a good thing, but we must always be mindful our of context: Here in Kiwoko, it needs to be done very carefully: handing out clothes directly onto streets can hinder economic development in the area, as it takes away from local businesses like clothes shops and dressmakers. A long-term aim of missionaries here has been to tackle these issues and form normal friendships with locals. This takes a lot of time and sadly, many people here are still only interested in gaining money or possessions from relationships. Yet, that is only a small minority, I am so thankful to have gotten to know Christians incredibly deep-rooted in their faith, who are honest and trustworthy, and show so much of Jesus to the world around them. They have been such a blessing to me. I have also been involved in children’s ministry, through helping with SUUBI (‘hope’) children’s club and holding various events locally for kids. There are between 100-200 children who attend this, with a core group of four committed leaders to run it. SUUBI runs every other Sunday for 2-3 hours. On the other Sundays, I have started to involve myself in the prison ministry which has been very interesting and there is a lot of response from prisoners who are giving their lives to the Lord. Many prisoners are just people the same age as us, who were caught stealing and are lost, afraid and alone. Every morning, there are also morning devotions at 8am for hospital staff and missionaries. A prayer meeting runs twice a month, and there are small groups weekly as well. The most profound experience of my time here yet was in Kotido. This is a village that a team of fifteen of us travelled to in Karamoja a few weeks back. The journey was a very rough twelve hours in a rickety matatu (a mini-bus of sorts.) The roads are mostly dirt-track and dangerous to travel on at times. An example of which we meet on the way there as we sadly passed an incident in which a man died on the way up. Kotido is one of the poorest regions in Uganda and has been ravaged over the years by drought. The Hospital often sends aid and support there, despite having minimal funds and resources itself. Furthermore, the culture is very different and tribal. It can be quite dangerous if you are alone or are unsure of how the community functions. Warriors in the area are marked by how many people they kill, and are feared by the police. They are not arrested, as the entire tribe would then raid and attack the police station. We stayed in Shalom Orphanage and Reconciliation centre while we were there. On our first night, we all rested and introduced ourselves to the people. Before sundown, we decided to go for a walk to see the area. However, on return, one man from our team who had been walking alone told us that he had gotten into trouble. Sam had been surrounded by warriors from the village who accused him of being a thief, as he was not recognised by anyone nearby. 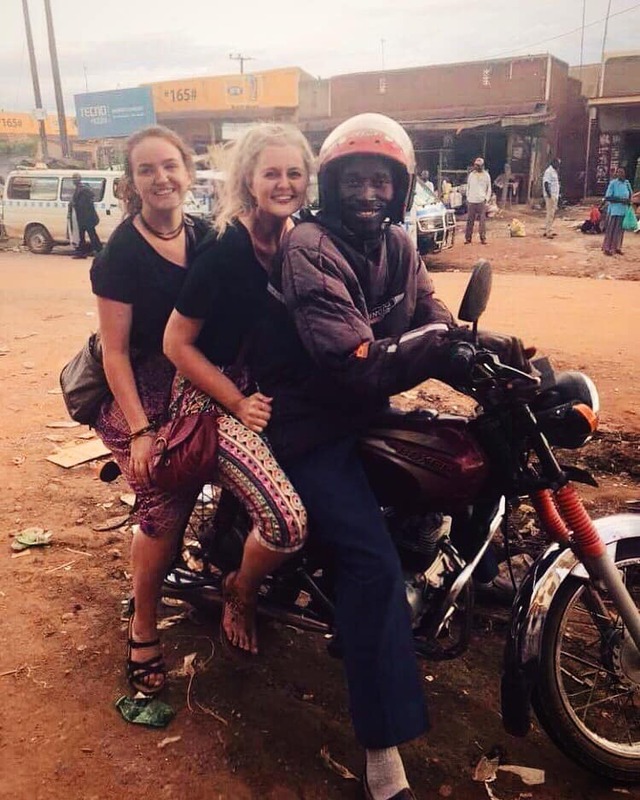 They spoke in Karamojong and Sam spoke Luganda, so he had no way to explain himself. Warriors are very sceptical that all visitors are trying to attack or rob them, and if this had been a couple years ago, Sam would have been killed without hesitation. Even now, he could have been killed if they decided not to trust him. After half an hour they released him, as a local person recognised Sam and could explain who he was. In the orphanage, we ran children and youth clubs for ages three years too young adults. We began at 6.30am and finished after 4pm, spending the remainder of the day dancing, resting and talking to the young people. We also distributed clothes that we had brought. The most painful experience was watching children around the ages of seven mothering baby siblings, as they had no parents to do so. They tied the infants to their backs during games and would carry the crying babies out of the club during story time so that they didn’t disrupt their friends. The youngest we saw was a four-year-old girl carrying a screaming baby home on her back from the centre. The kids would also receive hardboiled sweets for answering questions, which they would break up in their mouths and spit back into their hand so that they could share the broken shards of sweet with their friends. All the children were together until lunchtime at the club and then divided off. My team worked with children aged 8-12, and we had fifty attend the first day, which more than doubled the next. Over ten children gave their lives to the Lord. The second day began rather strangely as confusion broke in the teams as the children all got up and ran outside, grabbing bricks and rocks and screaming as they went. Perplexed, I followed them and watched to my horror as they swarmed around a two-meter snake (which, may I add was venomous) and began pelting it with rocks until it was dead. When it stopped moving, they dropped bricks on its head. In the strangest moment, it was hard not to admire the bravery: I don't think I have seen braver people, kid's who put themselves in harm’s way to ensure that all the other children in this orphanage were safe. Older children parented the younger, they all protected each other and became family to one another. 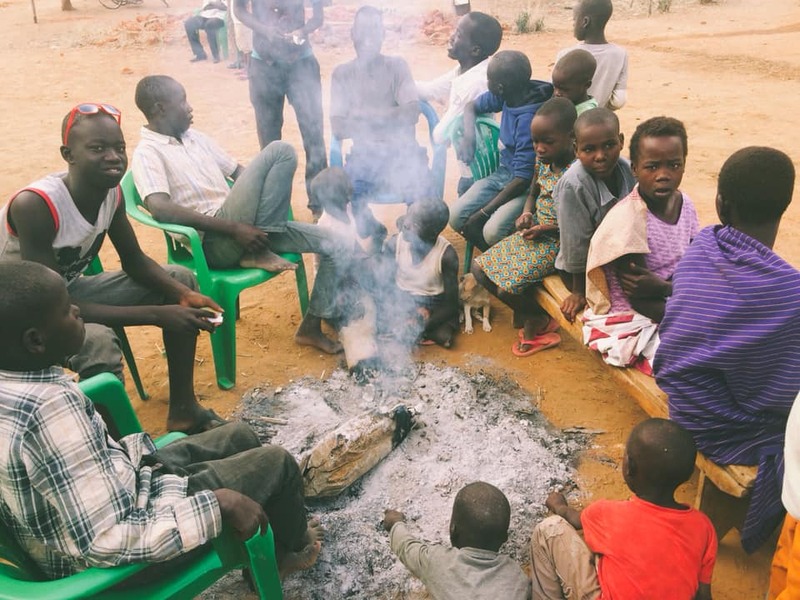 In the evening of our last day, we all ate together: villagers, children and the team all together around a fire. Then we ascended to our feet to learn some Karamojong dances (a strong local tradition, particularly within families). Eight young adults prayed for salvation that night. Leaving Kotido was a huge challenge for me, and I am hoping to return again before I leave Uganda. That I am able to to navigate the challenges that come alongside home-schooling and help the children learn. For the Park family (the missionaries) and their boys as they adjust to life here. They are amazing and so Good here, but as with any move it takes time to settle. Pray God’s protection, blessing and guidance upon the whole family as they seek to serve him. For the seeds of faith planted in Kotido Village and our times there. Pray for the Kids that gave their lives to people and that all in that region would come to know the good news of Jesus. Pray that any future work we would do there would help to build on what God has done so far, and pray that the church would not just bring spiritual hope, but help make a positive impact: brining improved living conditions etc. For the Children within SUUBI club and Kiwoko area, pray that Jesus is made know and more lives are transformed. The children and prison ministry teams, pray protection on the teams as they go into minister and that hearts would be soft and lives genuinely transformed by Jesus and for Jesus. Pray for all the staff in the prison too, that the would do the job to the best of their ability and not misuse their power and that they also would come to know Jesus. Kiwoko Hospital - It is an amazing place. So please pray for all the staff who work there and seek to bring healing and hope, for all the patients there as they recover. For the whole situation, Pray that the hospital would be a practical beacon of hope for Jesus, and a spiritual beacon that draws people into a living faith. Thank you for catching up with me, and for keeping me posted on what has been happening over there. I’m missing CE, and I am thinking and praying for the lot of you.